The Honourable Company of Gloucestershire: who we are and what we do. Follow the link below to find out who we are as well as something of our history, objectives, Charitable Trust and constitution. Above the Court made a gift of a rare tree to Roger Head as a token of their appreciation for the use of Highnam Court, his home, for Company meetings over the preceding 18 months. 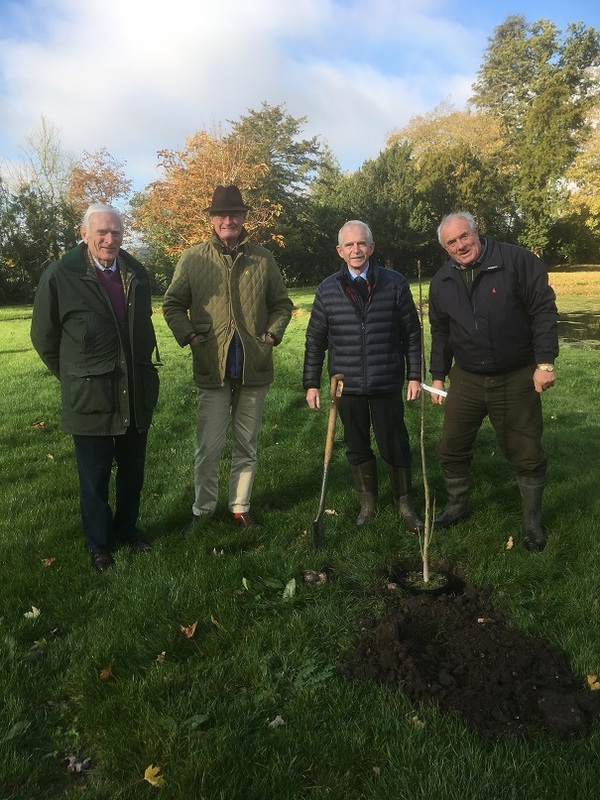 Pictured are Sir Henry Elwes (Warden Emeritus), Col Tony Singer (Chair AFG), Sir Dusty Miller (Warden) and Roger Head – the gift is a Toona sinensis, a very pretty and fast growing tree from China. Follow the link below to find out more about our activities, in particular the Interest Groups: Armed Forces, Arts & Heritage, Business, Community Support and Sports. The Honourable Company Charitable Trust made a grant of £1,050 to the Severn Area Rescue Association (SARA) for the purchase of new personal protective equipment, in this case three new drysuits. 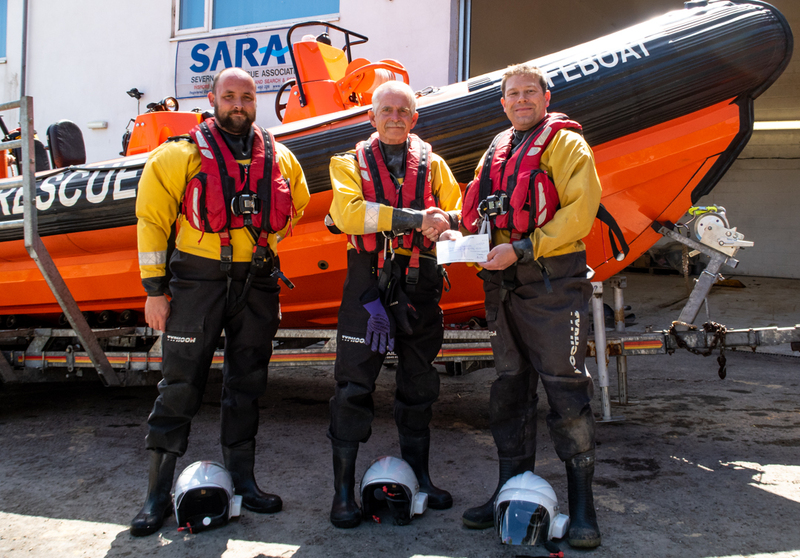 Following an exhilarating trip on the Severn in SARA Lifeboat 1, the Warden presented the cheque to Mark Carwardine, Chairman of the Severn Area Rescue Association, alongside Ed Davy, the Deputy Chairman. SARA volunteers specialise in Land Search, Cliff/Mountain and Water Rescue. To discover more about SARA, please go to www.sara-rescue.org.uk. There’s no better way of defining what we do than by setting out our objectives. They are to promote Gloucestershire, and the best interests of the county, through fellowship and by supporting industry, commerce, sport, education, science, the arts, the armed forces, youth and voluntary organisations. We encourage leadership and debate, promote and recognise excellence and encourage charitable giving in order to provide a positive influence on life in the county. In short, everything we do is ‘For Gloucestershire’. In 2012 the Company set up a separate Charitable Trust as a tax-efficient way of reinforcing its objectives. The generosity of our members in contributing to the Trust each year – effectively a condition of membership – thus enables us to support a number of worthy causes. For more about the Trust, and also how to apply for a grant, simply click on the link below. If you would like to find out more about other activities, please follow the link below.